The directions were issued during the hearing on a PIL initiated by the bench last year on the issue of air pollution in the capital. Emissions from landfill sites and fires at garbage dumps had been identified as major sources of air pollution in Delhi. The Delhi High Court on Friday asked what was the need for the MCD and DDA if they cannot take necessary steps to manage landfill sites in the city. “What is the need for MCD and DDA to be there if they cannot do anything?” the HC said after the counsels for the civic agencies said they were unable to take steps to manage the sites. 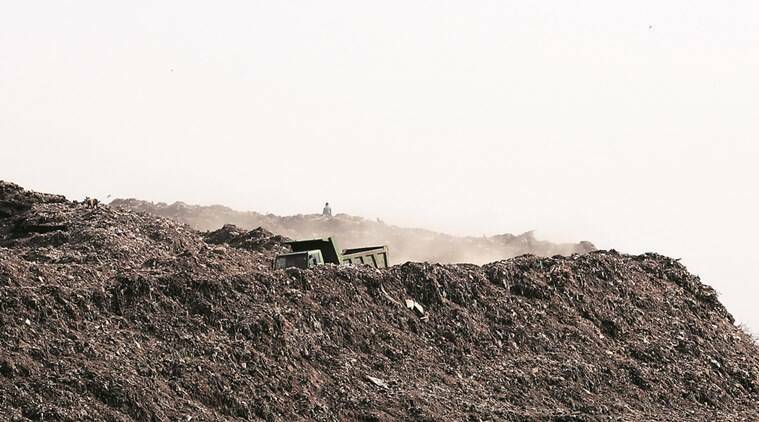 The bench of Justice Badar Durrez Ahmed and Justice Jayant Nath summoned the commissioners of the three MCDs and the member secretary of the Delhi Pollution Control Committee (DPCC) to “explain” why proper maintenance of the landfill sites was not being done. The officials have been directed to appear before the court on December 1. The directions were issued during the hearing on a PIL initiated by the bench last year on the issue of air pollution in the capital. Emissions from landfill sites and fires at garbage dumps had been identified as major sources of air pollution in the city. The bench also pulled up DPCC for failing to take steps against the civic agencies, after DPCC counsel Sanjiv Ralli told the court that the existing sites had not been given any approvals by the DPCC and were running without consent. “The sites are non-scientific, not being maintained under rules so there is no consent by the DPCC,” said Ralli, adding that it was “beyond anyone’s capacity” to “make the sites compliant with the rules”. “What have you been doing? If there are violations, isn’t it upto you to point it out?” said the bench. The DPCC has been directed to submit “information and particulars” of the “notices and prosecution” against the civic agencies for violating the Environment Protection Act, 1986, and the Municipal Solid Waste Rules.